A bilingual New Testament in Korean and English. Features the Revised New Korean Standard Version and the Good News Translation. Features side by side columns. 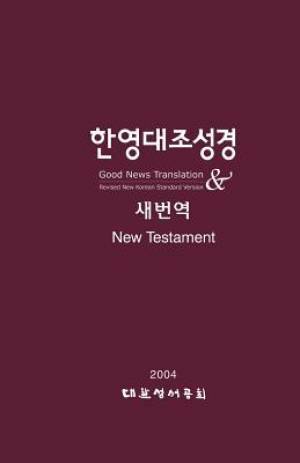 Korean-English Bilingual New Testament was published by American Bible Society in August 2016. The ISBN for Korean-English Bilingual New Testament is 9781941448137. Be the first to review Korean-English Bilingual New Testament! Got a question? No problem! Just click here to ask us about Korean-English Bilingual New Testament.